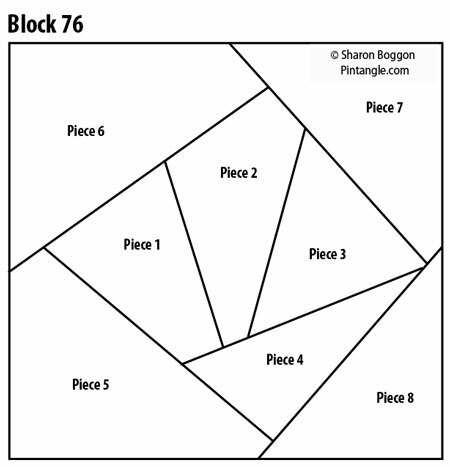 Today I would like to share with readers a pattern for Block 76 which is a natural colour scheme. It is made to sit next to block 75 that has a neutral bone colour scheme. Block 76 has much more colour in it. (click on the block to see a larger image) It fits the set of the quilt as part of the light the diagonal line that runs across the quilt. It is also an example of choosing colours that will fit the set of the quilt. 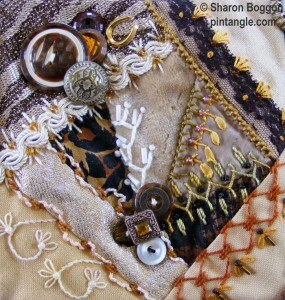 I am not a fabric snob as many of the fabrics in this block are synthetic. 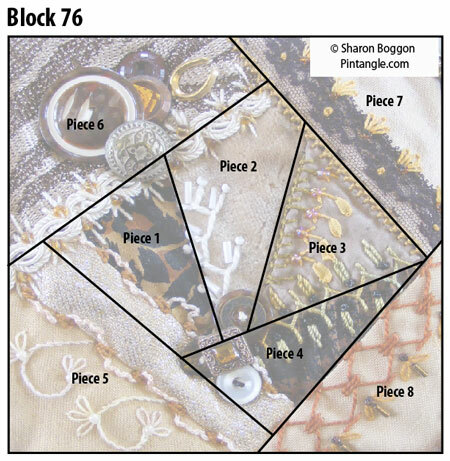 Over the next few weeks I will share articles about the embroidery and embellishments in closer detail but for today I will focus just on the block. Piece 6: Synthetic stretch lace! just found this site, how big is the block please.